Wendell Arneson received his BA from Luther College in Decorah, Iowa, his Art Education Certification from the University of Wisconsin, and his MFA from Bowling Green State University in Bowling Green, Ohio. His works have been shown at places such the Toledo Museum of Art, Groveland Gallery in Minneapolis, Wichita Art Center, Rochester Art Center to name just a few. There are numerous corporate and public collections of his work found in businesses such as the Ford Motor Corporation, 3M Corporation, and the First Bank Corporation. 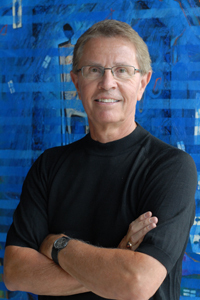 Arneson’s grants and awards include Research Travel Grant, Italy and British Isles, St. Olaf College; Research and Development Grant, Santa Fe, New Mexico, St. Olaf College; Research Grant, Italy and Ireland, St. Olaf College, Art in Embassies Program, Rwanda, Africa; Major Painting Award, Watercolor USA, Springfield Museum of Art, Springfield, Missouri; Drawing Awards, Van Wert Museum of Art, Van Wert, Ohio. Arneson was on the faculty at St. Olaf College 1978 – 2015, specializing in painting (oil, acrylic, & watercolor), drawing, and color design.